Let me take you through 10 steps that I have put together from loads of stories people have told me about their experience getting things started here in the United States. The order isn’t exact – you may be doing a few of these things simultaneously or recursively. That said, these simple actions have helped numerous scenes grow from 5 people in a kitchen to 100+ attending workshops and dancing the whole night through! This is the easy, inevitable part that set you on this quest. Believe me, if you’re not in love, the following steps won’t be worth it to you. Passion is what will fuel your progress. If you just don’t care that much, you’ll probably just wait till someone else gets things going. Get on Google. Ask your friends about their friends in nearby towns and cities. If you’re in the US, visit www.kizombacommunity.com. You want to figure out what the nearest city with regular socials and/or workshops is. If it’s a reasonable drive or bus ride away, start making the hike as often as you can manage. Even once a month can help you get the ball rolling. Are there any others in your town who have been bitten by the kizomba bug? People who have been to a salsa congress, or who like your reposted videos from YouTube? Are there any other sensual or African roots dances in your area? Find a few like-minded people. This will be much easier if you can share the responsibilities and joys of building your own scene. Road trip! Carpool to close scenes for their weekly social, or fill up a few bus rows to get to a bigger workshop weekend. Sharing gas and hotel expenses helps on the financial side, and having a group to share experiences and process your learning with will make a big difference. Even if it’s just you and one other person at first, try to make a dedicated time for kizomba. Practice what you’ve learned on your trips to nearby scenes. Go through technique exercises together. Explore new music. Sharing honest feedback and helping each other is a totally legit way of both improving and enjoying your dance. 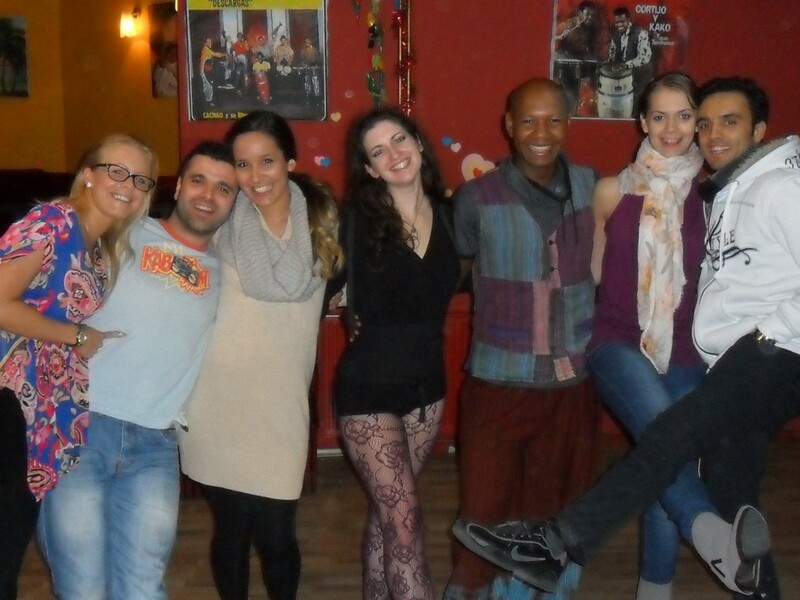 Once you have your core group attending regularly, gradually open the group up to the kizomba curious. Use someone’s living room or kitchen or apartment complex common room so that you can keep it free. The more interest you can build, the better, and it’s always easier to get people to check something out for free. Collaborate with other successful dance venues or events in your local area. See if you can do a 1- or 2-minute demo of social kizomba. Ask about offering a free 30- or 60-minute taster class in kizomba. Make sure you feel confident about your basics – you don’t want to shoot yourself in the foot by confusing your community from the start. Be sure to invite everyone to check out your regular meeting, too! Once you have at least a couple of new people showing up every week, it’s time to up your organization level. You will probably need to find a place to rent – check ballet studios, yoga studios, fitness centers, and even restaurants. You want to find a rent that wouldn’t kill you to pay by yourself for a month if things don’t go as well as you hope. If you have a strong core group, you can share that risk and even share teaching responsibilities. You can rotate through beginner instruction duties, and make sure everybody gets the chance to practice dancing during the practica. Be honest about your own status as an amateur enthusiast and ongoing learner, and remember your goal: to grow your own local scene. That will require patience and an inclusive spirit. Taking group classes will only take you so far – while you might become a pretty awesome social dancer on just that diet of instruction, teaching will require much more focused feedback and direction. That might not be what you want to do as a scene builder; fine! Find the person or people best suited to becoming your local teacher and be their advocate. Help them get to events where they can get awesome instruction and bring it back to your budding scene. Regardless of who decides to start teaching, stay humble and don’t be afraid to admit when you’ve been doing something wrong. You are all learners. It can seem tough to hire those awesome professionals you so admire. It doesn’t have to cost you an obscene amount, though. See if you can find a teacher with family or friends in your area, so they wouldn’t mind sharing or even skipping travel costs. Inquire about doing a profit-share – no set rate for the workshop, but instead a large percentage going to the instructor AFTER expenses like venue rental, advertising, and travel are taken care of. If you’re in the USA, I’ll be happy to help connect you to teachers who have a heart for young scenes. 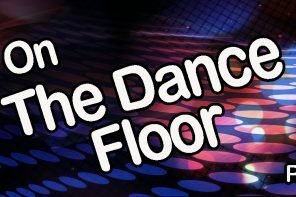 Another option is to collaborate with a stronger dance scene in your area to bring such an instructor to a large annual event. The most common internationally has been adding kizomba teachers to salsa congresses, but there’s crossover potential with tango, West Coast Swing, blues dancing, and more. If you want to move beyond a small beginner scene, at some point you’ll need to have a second level of classes. If you’re not sure how the progression should go, ask for advice from other scenes, or offer topical series. 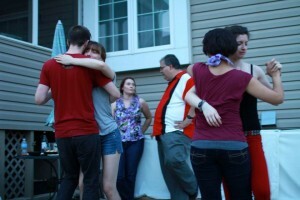 You’ll also want to start having social dance parties with a sizable percentage of kizomba music. If there are no capable Djs, explore the mixes on SoundCloud. Even if you just start with a monthly social with 80% kizomba, you’ll be giving people something to look forward to and to work towards. The road to having a kizomba scene where YOU live may not be an easy 1-2-3, but rest assured that many many others have gone before you. I have seen scenes that started with 3 beginner enthusiasts road tripping 2-4 hours to learn transform to having multiple classes in the week, a devoted kizomba social, and a couple other collab socials playing kizomba – all in the space of one year! I look forward to hearing that your town has joined the international kizomba community as well. Comment with your questions and stories!